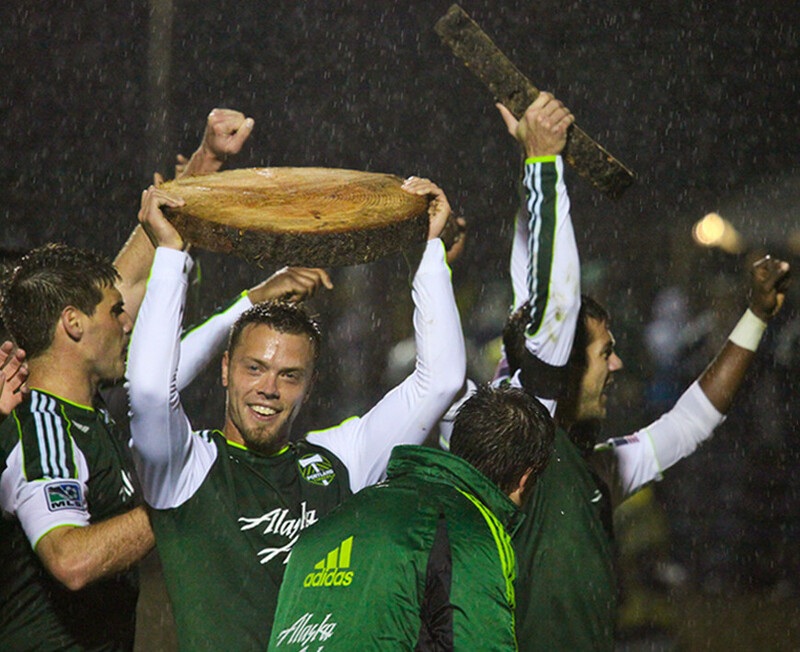 You can catch Jack Jewsbury and the Portland Timbers live on Sunday afternoon at 2:30 pm. The game is being broadcast by NBC. The team is 3rd in the Western Conference one spot ahead of the Galaxy. The difference between home playoff games and road playoff games will turn on this match. For more on the Timbers, check out this interview with Head Coach Caleb Porter. Or catch this interview with Jackie on their preparations. Tommy Tombridge, Northwestern 2013/Kickapoo 2009, will be in goal tonight representing “the rest of the world” in the live broadcast of Leo Messi and Friends from Soldier Field in Chicago. 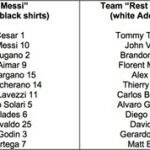 Via the Chicago Business Journal – The list of international soccer stars who will play in the Messi & Friends vs. the Rest of the World soccer game at Soldier Field on July 6 has changed just days before the event and will also feature former Northwestern University soccer players, event organizers said. 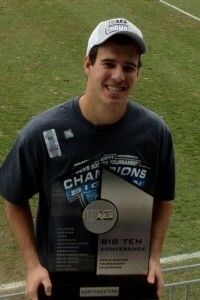 That includes former Chaminade/Northwestern player David Roth. UPDATED – a more recent story provides the list of players (see below) which includes #1, Tommy Tombridge, goalkeeper! The announcement comes after a Messi & Friends match scheduled for tonight in Los Angeles was canceled yesterday “due to irreconcilable issues with the local promoter.” The Chicago game, however, is being staged separately by Miami-based event company Numero 5 and is still scheduled to take place. “I am happy that this upcoming event is coming together, and am glad I can be a part of it,” Lionel Messi said in a statement. A press conference featuring Mr. Messi and other select players is scheduled for Friday night. The game is scheduled for 6 p.m. on Saturday at Soldier Field. It’s also scheduled to be broadcast on ESPN. Read more. As his Head Coach at Northwestern, Tim Lenahan noted on Tommy’s Facebook profile – What makes this story great is that Tommy will probably playing in his last game as he just committed to becoming a Pilot and officer in the US Air Force which is a 10 year commitment. Great way to go out! UPDATE – Tommy, in goal for Leo Messi’s side, was part of the ESPN Top Ten Saturday, earning the #1 spot, as his former teammate buried a bicycle. I’ve got dozens of shots of Tommy through the years but this is the one I used to illustrate his College Recruitment story, from the Region II tournament semifinal in 2007 against the Michigan Wolves. Good luck as you pursue your next challenge Tommy, the Air Force made a good choice. There are almost 600 photos in a Flickr set of the two year run the boys had earning State titles. 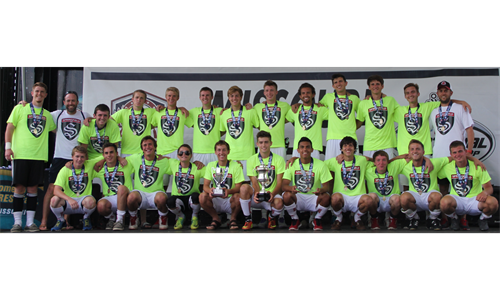 Champions were crowned at the 2013 US Youth Soccer Region II (Midwest) Championships – presented by the National Guard in Des Moines, Iowa. Winners in the Under-13 through Under-19 Boys and Girls matches earned a Regional title and a berth to the 2013 US Youth Soccer National Championships July 22-28, at Overland Park Soccer Complex in Overland Park, Kan.
Springfield SC defeated Grand Rapids Crew Juniors in penalty kicks. Both teams put up a great fight, resulting in a 0-0 score after regulation time. 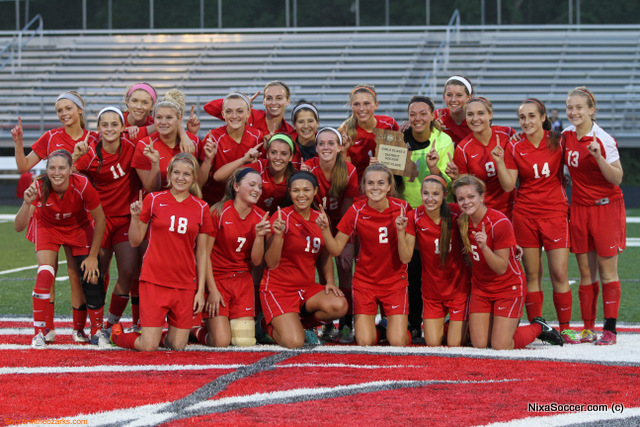 The match was still tied in overtime and ultimately Springfield’s precise kickers and skillful keeper gave them the championship. 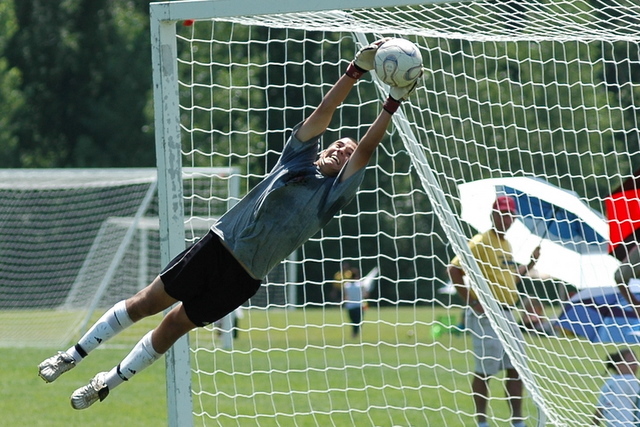 SSC was lead by Caleb Boston (Hillcrest) in goal. 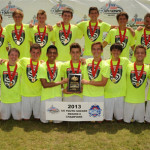 The final teams are set to compete in the 2013 US Youth Soccer Region II (Midwest) Championships – presented by the National Guard in Des Moines, Iowa. Winners in the Under-13 through Under-19 Boys and Girls matches will win a Regional title, and earn a berth to the 2013 US Youth Soccer National Championships July 22-28, at Overland Park Soccer Complex in Overland Park, Kan. Video highlights of the semifinals can be found below. 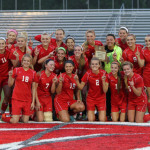 Two years ago Springfield SC missed their shot at the Region II finals by just one goal in overtime. 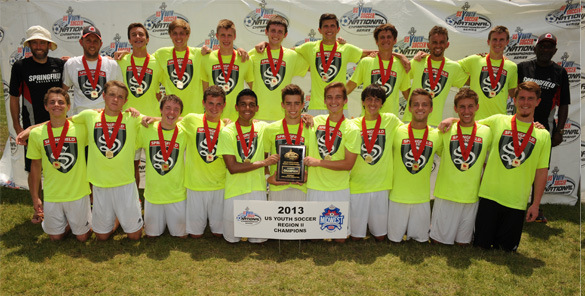 Tuesday, they beat reigning champions Raiders FC Premier 1-0 to move on to the U-18 Boys finals. Nearly the entire match went scoreless, until Jakob Neidig (Missouri State/Ozark) found the back of the net from a free kick with five minutes remaining. The only school with a chance to return to the Final 4 this year is the top ranked St Joe Angels, who finished 3rd last year when they beat Glendale in the consolation match. They travel to Oakville this evening and should be ready to play the winner of Ft Zumwalt West/Ft Zumwalt South on Saturday en route to a return to Blue Springs in June. They’ll face the winner from Kansas City. What about the rest of the state?